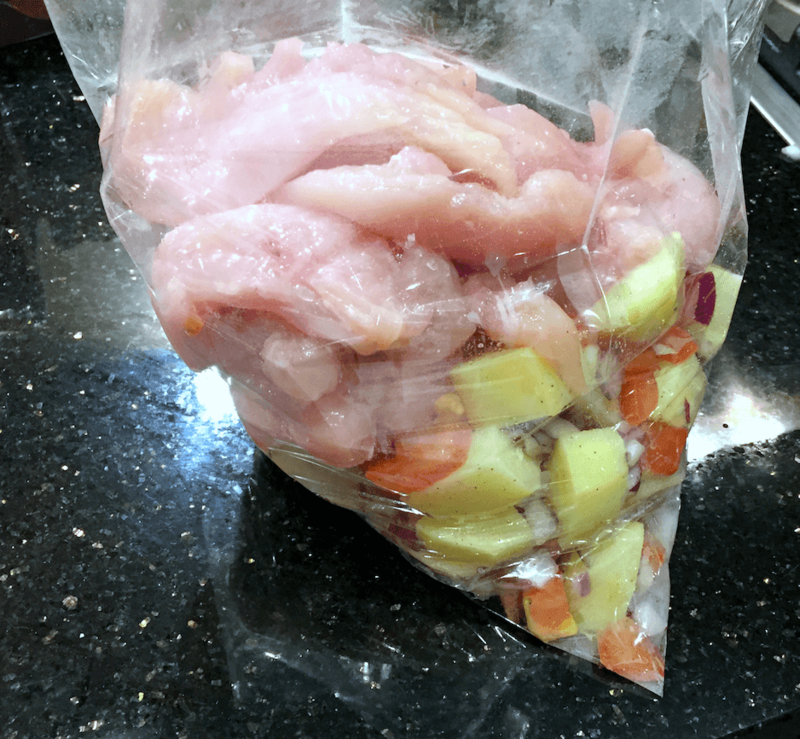 I've been experimenting with cooking things in a bag lately, whenever I cook chicken in a bag it always comes out lovely. 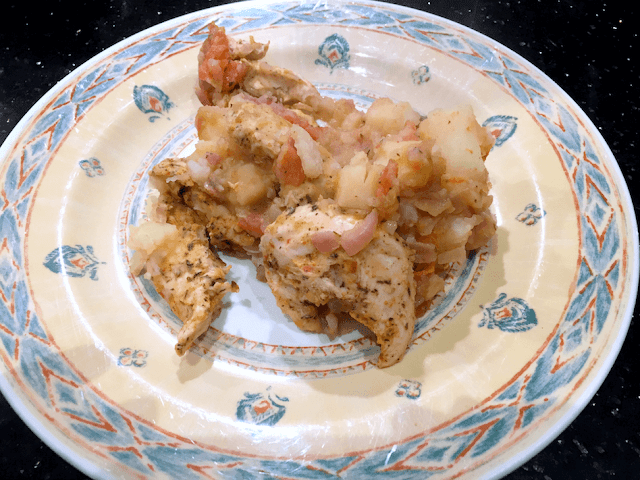 It's soft, tender, and juicy, definitely my favourite way to cook chicken at the moment. Our favourite meal right now is a spicy chicken concoction. The recipe is complete guess work and is all my own. Pre-heat your oven to 180ºC (fan assisted). Peel your potatoes and cut as if you're making roast potatoes. 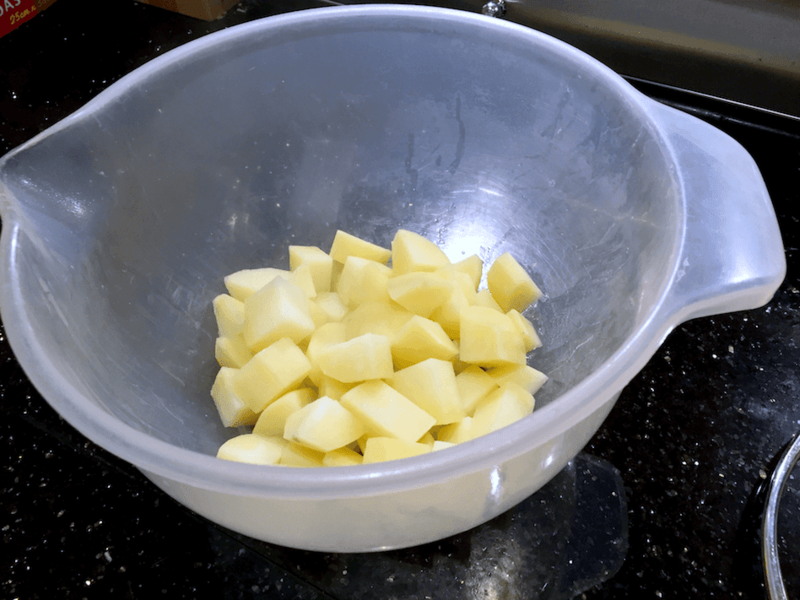 Put your cut up potatoes in a large bowl. 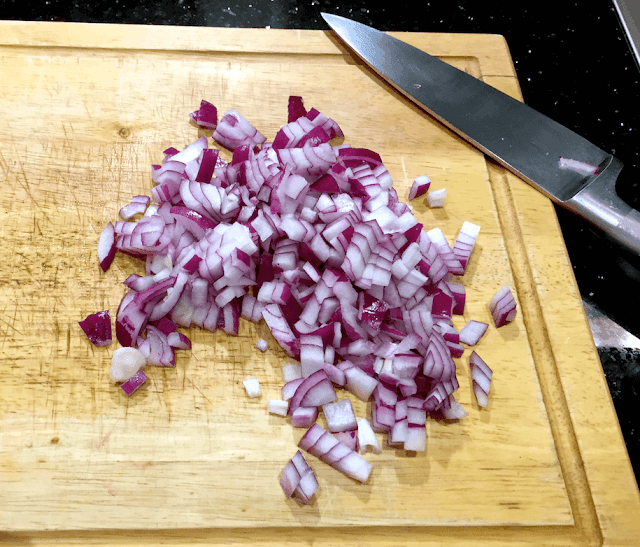 Peel and dice your onion. Add to the bowl. 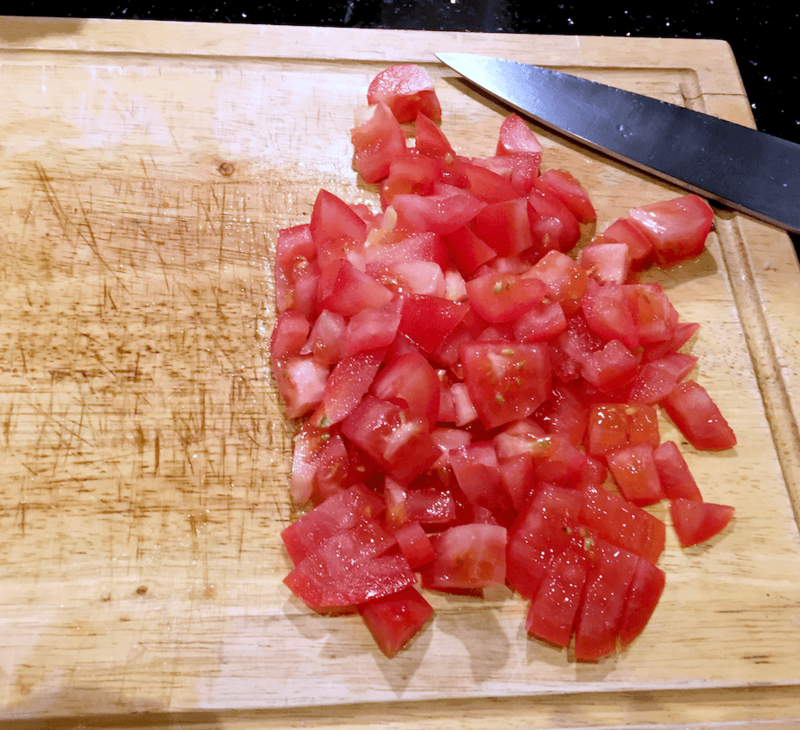 Quarter your tomatoes and add to the bowl. 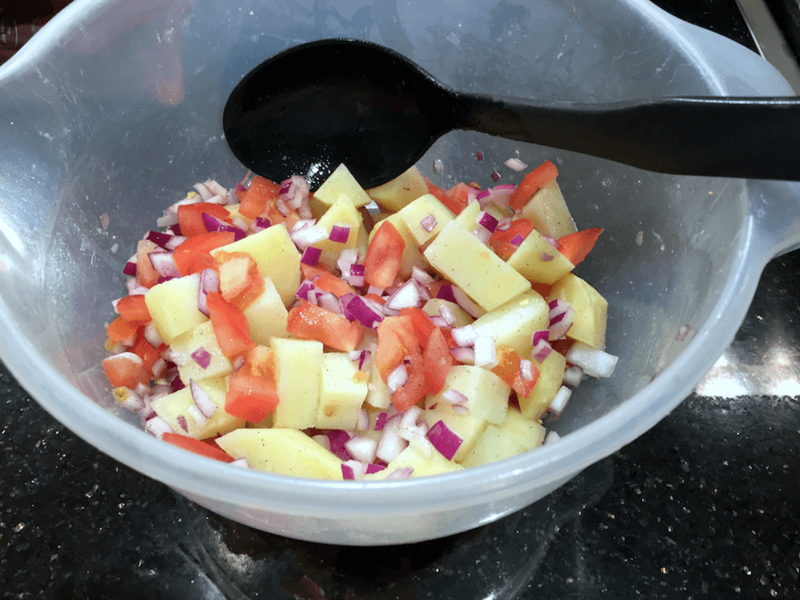 Mix together the potatoes, onion, and tomatoes, and add a sprinkle of sea salt and ground pepper. Mix again. 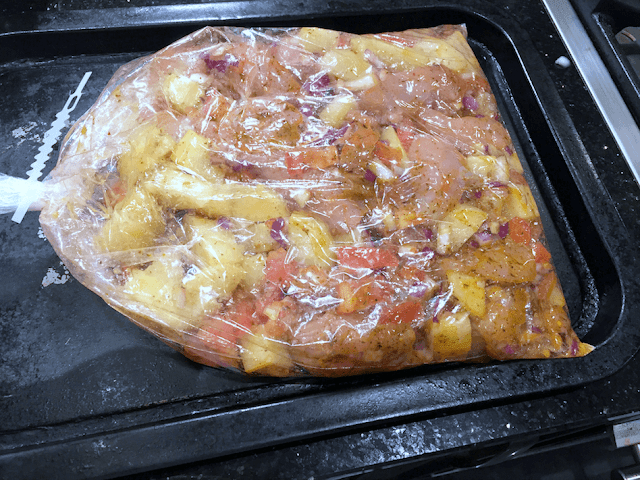 Open up your roasting bag and add your mixture to the bag, then add your chicken. 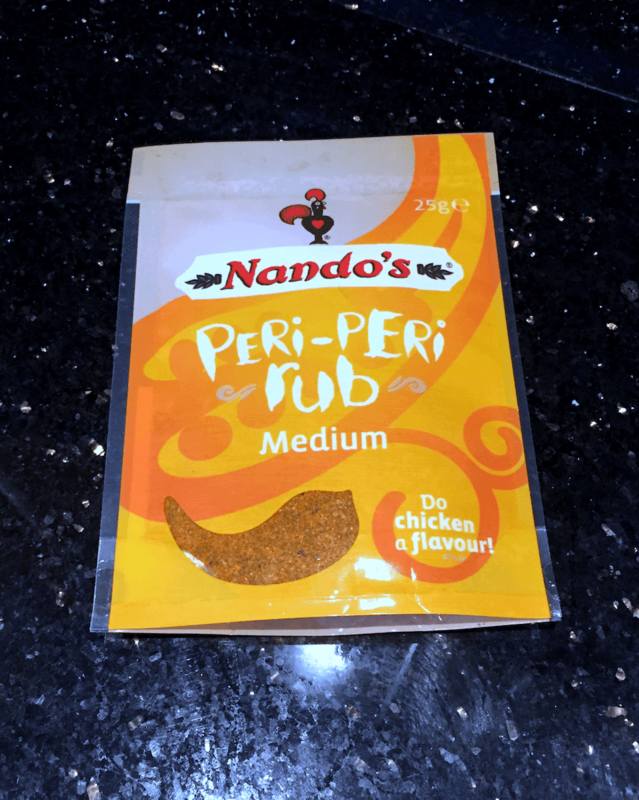 Open your Nando's Spice pack, add to the bag and tie it up. Shake or move the bag about so the spice mix covers the contents of the bag, being careful not to tear the bag. Once the mixture is covered place the bag on your baking tray and pierce the bag once with a sharp knife. Cook in the centre of the oven for 50 minutes. When it is finished cooking be careful when opening the bag, the steam will be very hot. Enjoy on it's own or with a side salad.